Fiat's plans to reintroduce the Alfa Romeo brand to North America are still on course for 2010 despite the economic downturn in the region according to Fiat CEO Sergio Marchionne, who was speaking at the Paris Motor Show. Fiat's plans to reintroduce the Alfa Romeo brand to North America are still on course for 2010 despite the economic downturn in the region according to Fiat CEO Sergio Marchionne, who was speaking at the Paris Motor Show. "In 2010 we should be there with distribution," Marchionne was reported as saying by the ANSA news agency. Marchionne has made no secret of his desire to reintroduce the Alfa Romeo brand into North America from 2010, and with local production of at least one model getting underway from 2011-2012. To this end he has been talking to all three of the Detroit-based carmakers about tapping up excess capacity, as well as looking towards potential regional aid, with Ontario (Canada) being one state pushing to be the location of any new plant. 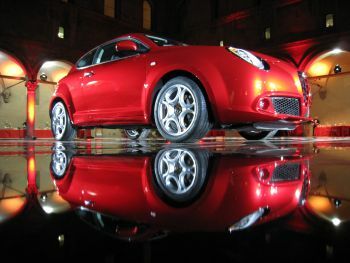 A deal has also been inked with BMW that will see North American Mini dealers selling the new Alfa MiTo. There has been much speculation that the recent economic downturn in the United States could see the Alfa Romeo relaunch delayed. Rolling out a premium brand in difficult market conditions is always a tough task. Talking in Paris about the Group's targets for the year Marchionne was quoted by the Apcom agency as saying: "There is uncertainty everywhere, the market has lost its sense of reason. We must look very carefully at the fourth quarter, and then we'll be able to make a better estimate for 2009. The target forecasts for 2008 remain," he added. Meanwhile in Paris Alfa Romeo CEO Luca De Meo told reporters that the sporty brand could follow the path towards a global model, a route that has been pioneered by Fiat. "We need a global concept, I think possibly a medium SUV crossover," said De Meo, who is also the Fiat Group's worldwide marketing boss. Building vehicles that can be sold in many markets reduces costs and overlap. "There are various segments that we are considering but from a global perspective rather than a European one," he added.